Having the freedom to explore and experiment—we can do so much more today running on AWS as we execute against our mission to connect the world through games. Using AWS allows Zynga to focus on developing great games, investing in product innovation, and improving player experiences. Zynga is one of the world’s most successful mobile game companies, with a collection of hit games—including Words With Friends, Zynga Poker, and FarmVille—that to date have been installed by more than one billion players worldwide. In 2011 the company made a strategic decision to move from AWS to its own private cloud infrastructure. Four years later it returned certain workloads to AWS, taking advantage of the continuous technology innovation that characterizes the AWS cloud so Zynga employees can focus on what they do best: delivering great games. Early on, Zynga’s games experienced massive growth on the web. FarmVille, which launched in 2009, went from zero to 10 million daily users in a few weeks and exceeded 80 million monthly users just months after its launch. The immense popularity of FarmVille and the anticipated demand for upcoming games created what Zynga Chief Information Officer Dorion Carroll calls “an insatiable demand” for Amazon Elastic Compute Cloud (Amazon EC2) instances. Zynga soon determined that its game architecture, which was targeted to desktops and channels like Facebook, the predominant social gaming platform at the time, should run on an internally designed cloud architecture. Zynga added data centers on both the West Coast and East Coast and launched “zCloud” in 2011. Zynga is one of the world’s leading providers of social games. It is based in San Francisco. Zynga ran zCloud for several years but, as Carroll notes, the realities of legacy equipment began setting in just as mobile platforms began emerging as a huge new market for the game industry. 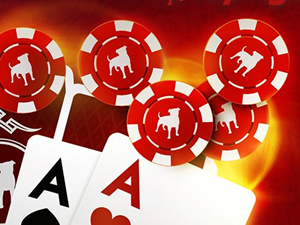 Zynga learned a lot and became proficient at running its data center infrastructure, but the pace of technology innovation and the new and different demands of mobile gaming brought the company full circle. Zynga’s first big AWS migration project was its analytics platform, which is critical for a player-centric, data-driven company. With assistance from AWS, Zynga conducted proofs of concept (PoCs) to test the analytics platform infrastructure against modern Amazon EC2 instance classes. The result was an analytics management solution that initially reduced a 230-node zCloud cluster to a 115-node cluster running in AWS. Additional PoC work increased efficiency and performance even further by enabling the solution to run on 70-node clusters. Zynga’s move back to AWS began slowly, allowing it to transition at a pace that would support a successful migration without interrupting the player experience or business operations. By using AWS, Zynga could carefully plan, test, and develop PoCs without needing to commit to long-term fixed IT assets. This resulted in reduced costs and lower risk as it adapted to technology demands in real time, instead of relying on forecast models. Zynga has tapped into a broad range of AWS services to manage processes for IT and the larger business. The company is using Amazon Virtual Private Cloud (Amazon VPC) for individual game team operations, which provides access control as well as billing and management functions for better insight into who is using the AWS pay-as-you-go services. Carroll points to a couple of games as examples of the broad benefits gained by using AWS. For example, it re-implemented the Words With Friends Community Matchmaking feature, reducing the number of database servers by 97 percent, from 100 to 3, on AWS. It also updated that game to Amazon Linux AMI, which helped reduce the number of application server instances by 33 percent. The varied AWS technologies are helping Zynga discover entirely new ways to run certain IT systems, resulting in greater efficiencies and innovation than the company could accomplish in the past. For example, it replaced certain outdated and proprietary systems with Amazon DynamoDB and Amazon ElastiCache. Carroll says that the key benefit of using AWS is how it enables quick, easy, and cost-effective experimentation. Learn more about creating games on AWS. *All images are the intellectual property of Zynga Inc. and are used with its permission.